Asian Wedding Caterers, Indian Wedding Caterers , Asian Wedding Videographers, Asian Wedding Photographers and lots more. Experienced, articulate, professional North Indian Hindu Priest and scholar conducting all manner of rituals and ceremonies with a specialism for performing Hindu Marriages and explaining the meaning in English. Is conversant in all styles of pre-marriage and marriage rituals including North Indian (UP, Bihar, Marwari), Hindu Punjabi, Kashmiri, Bengali, Gujarati and Maharashtran. Master Chef Finalist prepare your wedding banquet? Prime Weddings - The ultimate wedding service provider. Specialising in Asian Wedding Decor, Indian Wedding Mandaps and Asian Wedding Stages. Covering Mehndi's, Walima's, Receptions and Ceremonies. From consultation, we will work with you from start to end, and deliever an outstanding service and work within your allocated budget. We are currently offering a promotional offer - 10% off Reception and Mandap package & also we will beat any written quote for any "like for like" service/products. A fantastic opportunity for your wedding events in 2017, at fantastic prices. Give us a call or send an email to find out how we can help you. Krystal Group are one of the industry leaders when it comes to Mandaps and Asian Wedding Decor. Rajendrabhai Joshi, BA (Hons) PGCE, MA, is a thrid generation Hindu Preacher in his family. A retired Police Sergeant of 23 years service he has a passion for weddings and prayer. Based in London he travels both in the UK and abroad to conduct ceremonies with professionalism, dignity and humility. 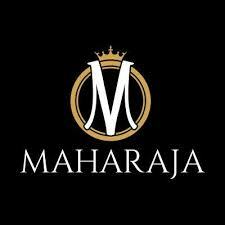 London based Asian Wedding Caterers Maharaja are another of my highly recommended suppliers. 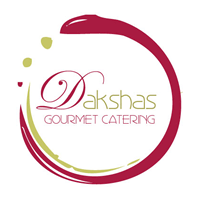 There service and cuisine of a very high standard and very nicely delivered. One of The Finest Beauty Salons based in The UK. My only recommendation for beauty treatments to the Asian Community, Bromley/ Orpington based, and clients travel from around the country, to be pampered, prior to there event. 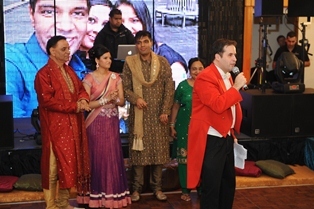 My Indian Wedding Toastmaster and Master of Ceremonies website.. This section is currently being updated..